Telescoping flag poles are items that are crafted from various diameter aluminum tubes that slide into each other. Every section is raised and locked into place, beginning with the top part that holds the flag. 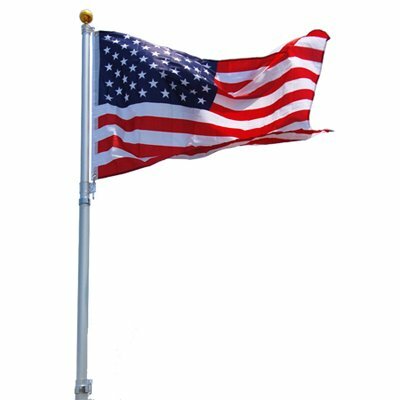 A telescoping flag pole makes it simpler to raise and lower the flag at home or at work for any occasion. Lifting and lowering the flag can be done in seconds instead of minutes when using a normal version. The flag will be flying in the wind very quickly. No one will need to worry about ropes becoming tangled or hardware that clangs loudly. A distinct advantage of this kind of pole is that it can be taken down during times of extreme weather. There is no need to worry about the pole being knocked out of the ground or bending. Simply lowering the flag will supply a peace of mind. 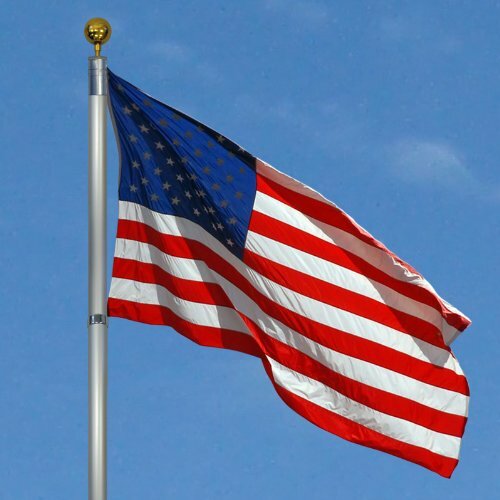 A telescoping flag pole does not involve ropes which get knotted up and wear and clang against the pole when it is windy. They are made in different heights that range from six to thirty-five feet tall. Because of the tapered effect, these types of flag poles usually keep their strength to height ratio, but are still not as strong and durable as a one piece flag pole. When searching for a telescoping flag pole, a person needs to consider three things. The tube size, lock system, and spring assist are very important. The sturdiest telescoping flag pole has the largest diameter in relation to the height. When comparing flagpoles of similar heights, look for the largest diameter tubing of each section. The thickness of the pole or wall does have something to do with the strength, but not as much as the diameter of the pole. The locking system will vary between manufacturers because most companies have a patent on their process. Search for a system that is self-indexing and locking. In other words, when every part is raised, it is automatically placed into the locking position. The system should be positive instead of friction or expansion based. To minimize the risk of a lock that is faulty, search for a system with little moving parts. Ensure that the manufacturer gives a spring assist system. On smaller poles, the spring assist system makes it very easy to put together. On flag poles that are higher than twenty feet tall, the spring assist is needed since the weight of the pole can vary from twelve to twenty pounds.